If you want the healthiest, cleanest almond milk, you should learn how to make your almond milk! It’s so simple. 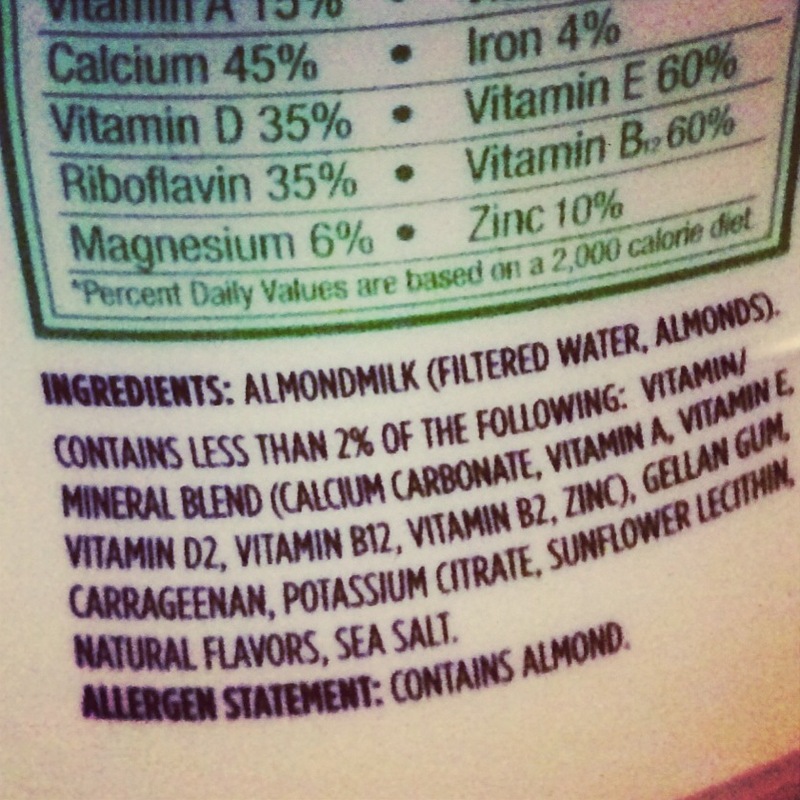 If you look at any of the ingredients of boxed or refrigerated nut milks at your local health food store, you will notice that carrageenans are a listed (but often hidden and in small print ) ingredient. The way the list of ingredients are portrayed is misleading. 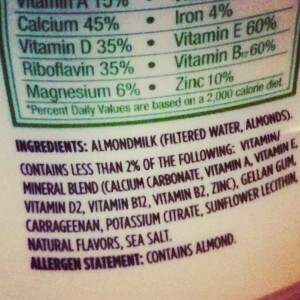 It looks like almonds and water are the only ingredients. Carrageenans are a “natural ingredient” made from seaweed that is an additive in many of the foods we eat (almond milk, yogurts, chocolate milk, etc.) used to thicken or gel the food. Studies however show that not only do they lead to IBS and bad tummy issues, but they promote tumor growth in animals. How can we avoid them? MAKE YOUR OWN ALMOND MILK IN A FEW EASY STEPS! Put all the ingredients into a Vitamix or high powered blender and blend until the almonds are a fine milky smooth texture. Place your nut milk bag over a wide mouthed pitcher (a bowl will work) and pour your milky liquid into the bag. Squeeze the bag from top to bottom, allowing the liquid to pour into the pitcher. Chill in the fridge until cold and delicious. Prior to consumption, feel free to shake / stir the milk! (The milk should be good for about 5 days.) Enjoy a cold delicious glass on its own or use it with cereal or in your smoothies! I try to minimize food waste. So my tip is to either use the almond pulp by throwing it into smoothies or mixing it into your oatmeal — or use it for baking! All you have to do is spread it out on a baking sheet and dehydrate it on low heat until dry. If desired, you can blend the dehydrated almond meal in the blender before using it for baking. Try using it in this delicious Walter Mitty Clementine Cake recipe! That’s it. 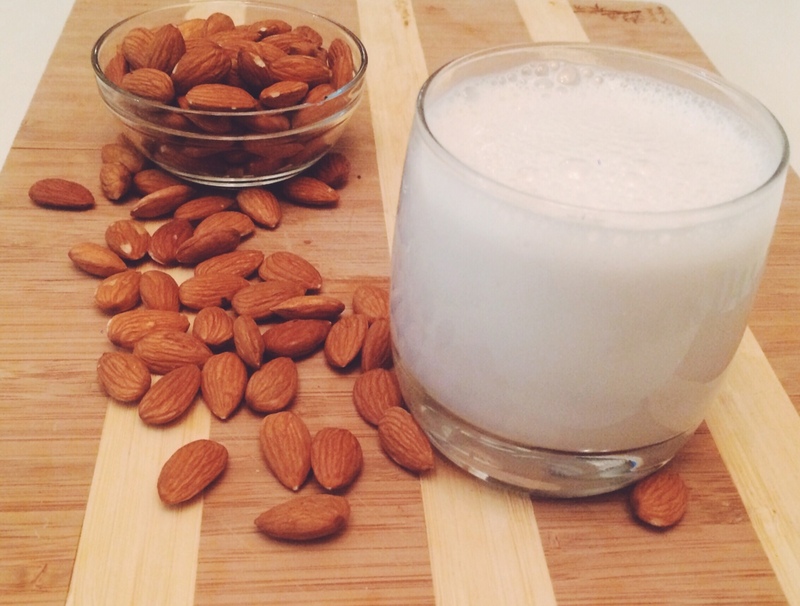 Hope you enjoyed this post on how to make your own almond milk!